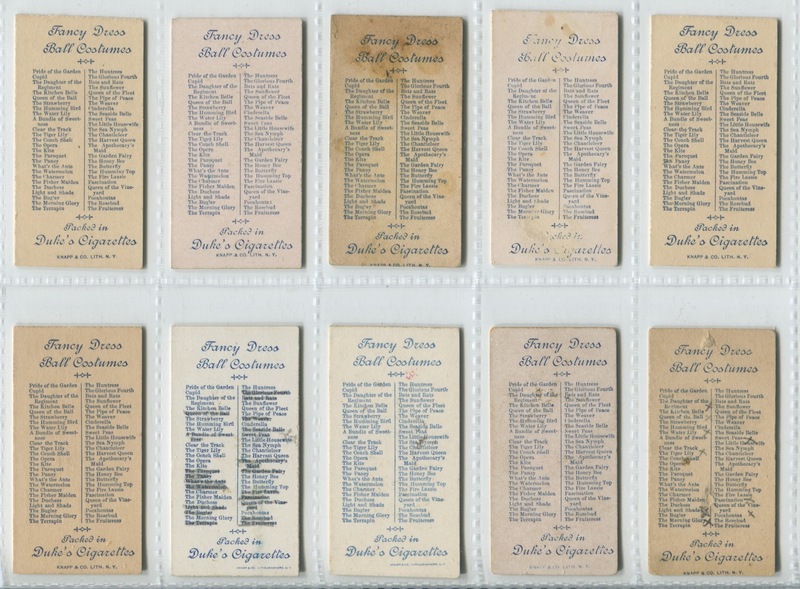 The N73 Duke Cigarettes Fancy Dress Ball Costumes set pictures actresses in dresses with some prop such as a bird or bee or other item and that becomes her title. 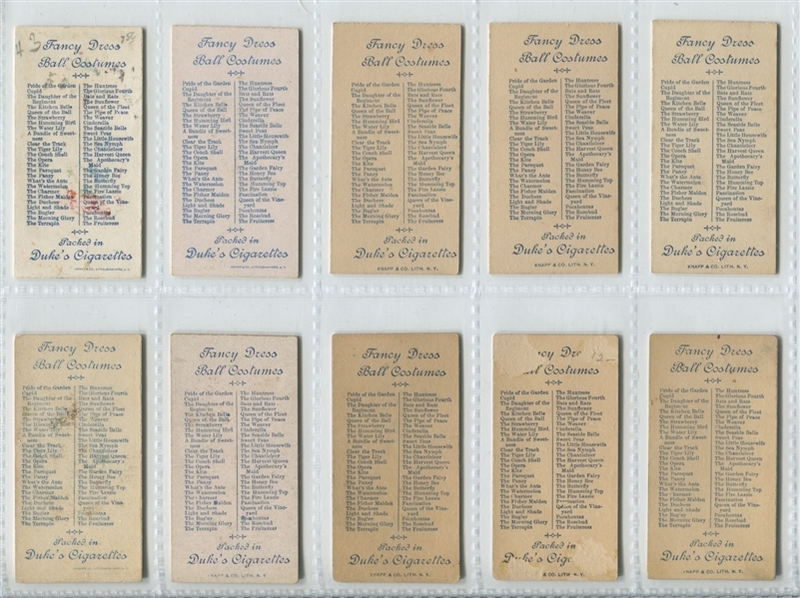 For instance, Miss Rose has a child's toy top on her head as a hairpiece and her title below her name on the front is "The Humming Top". 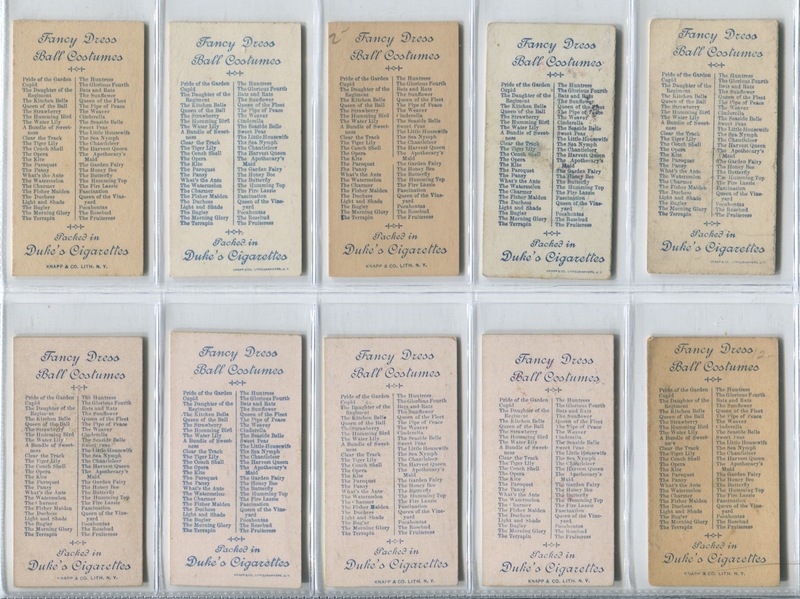 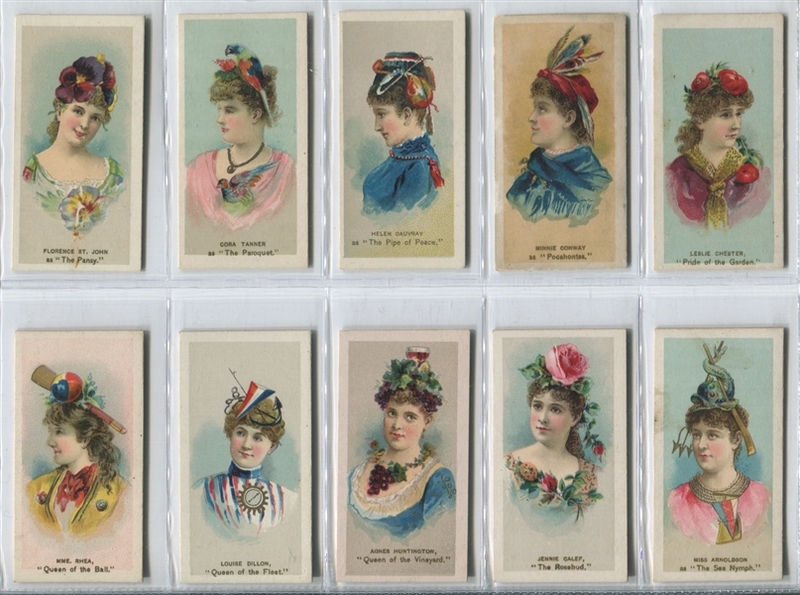 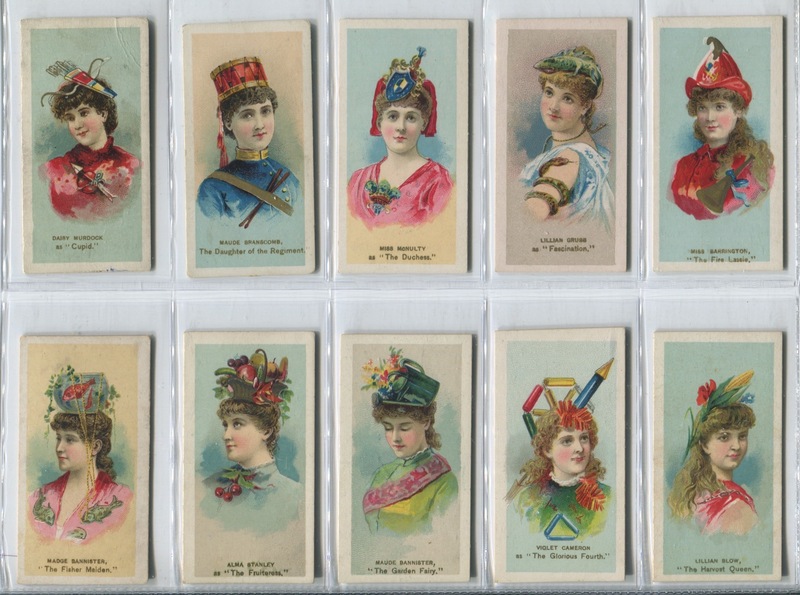 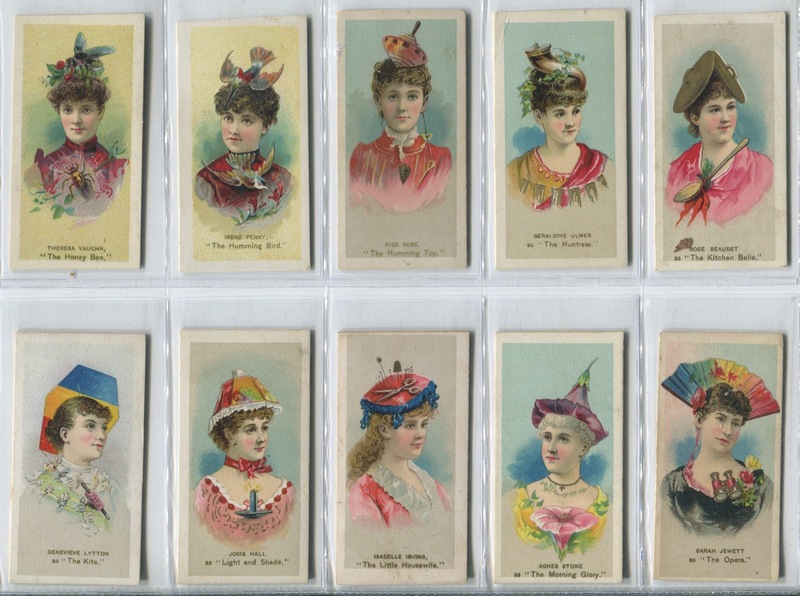 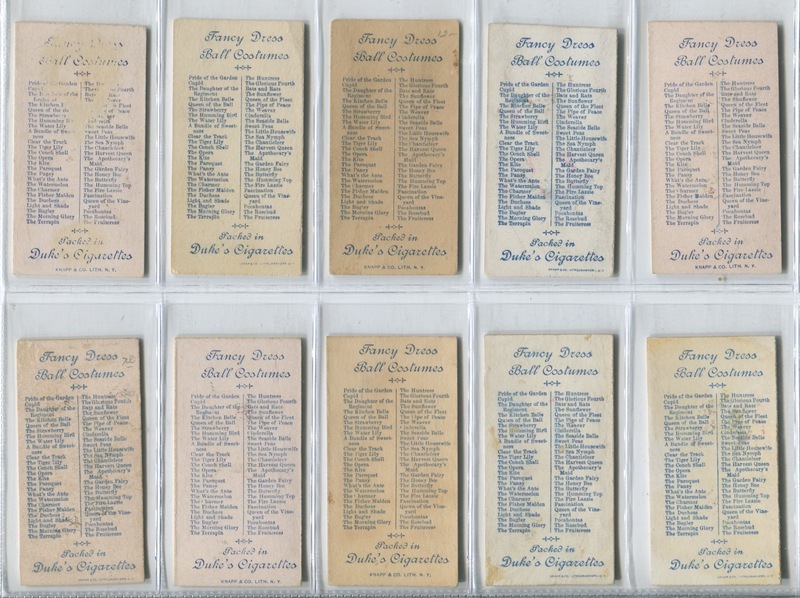 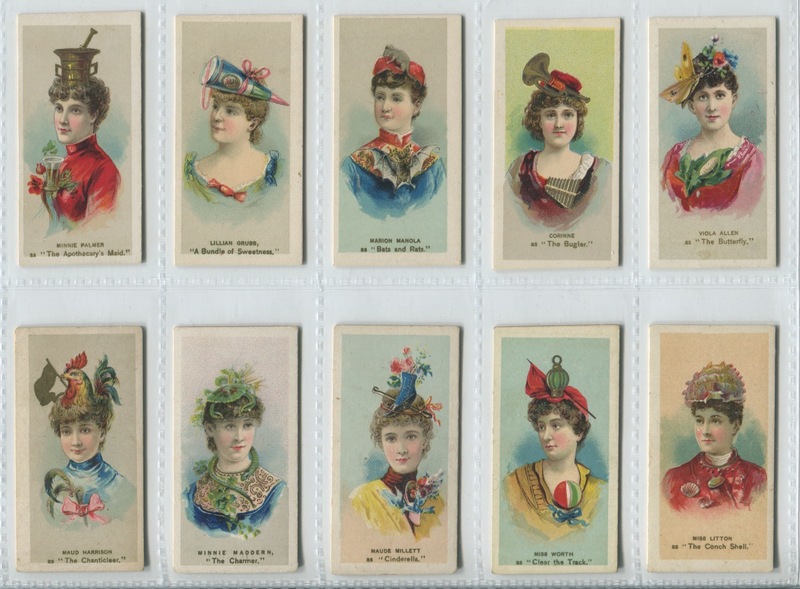 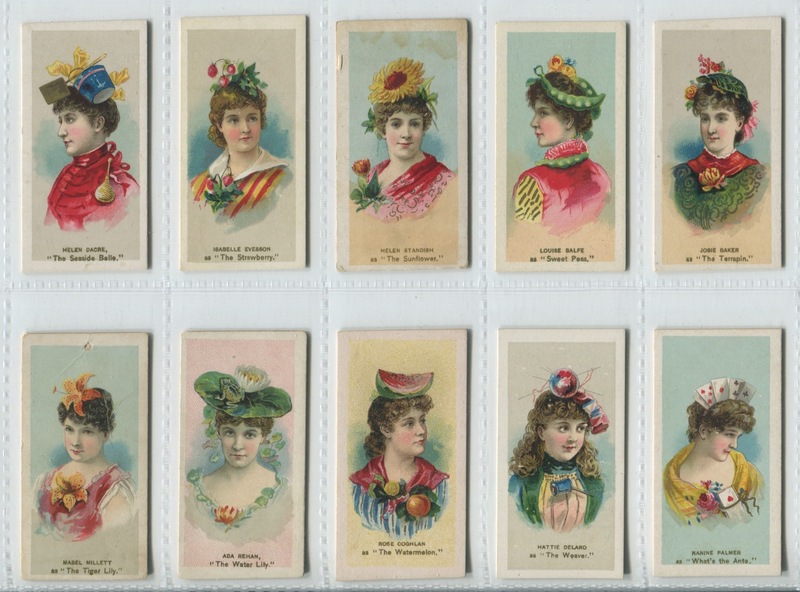 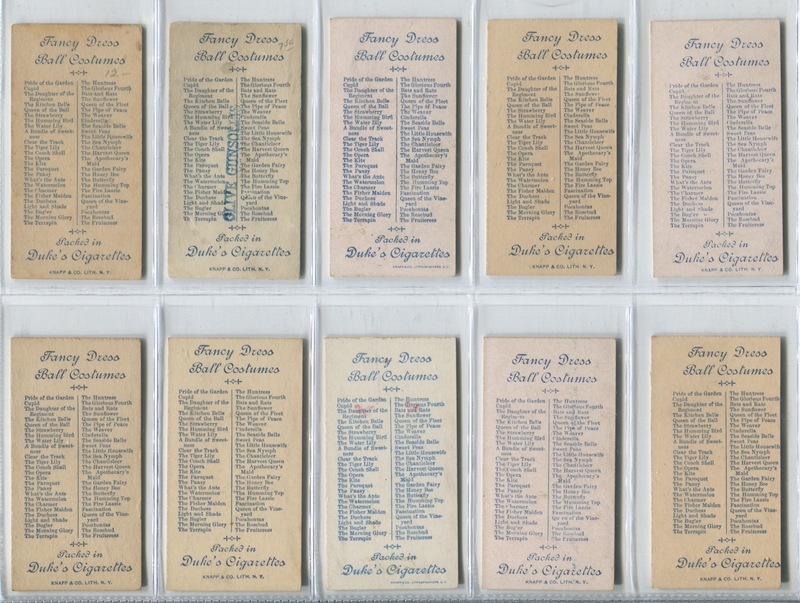 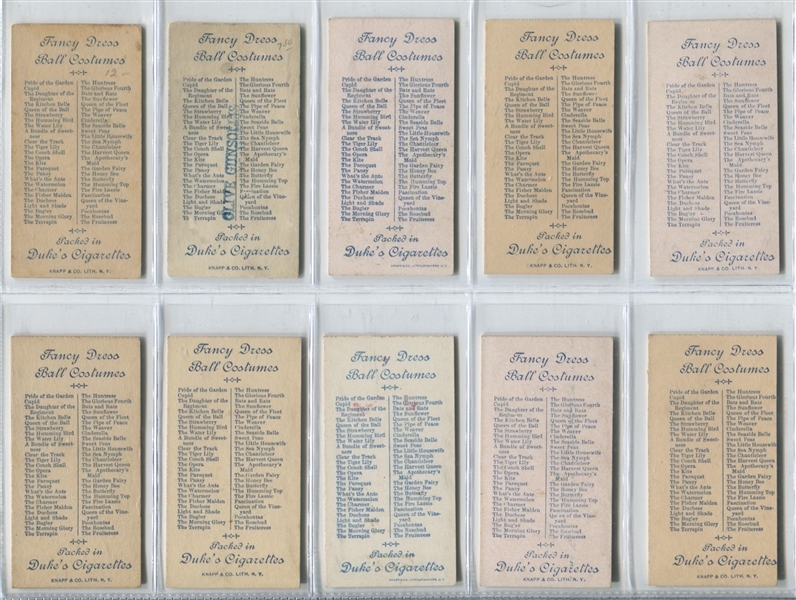 One of a number of sets that Duke produced picturing actresses in the smaller format cards. Condition breakdown on this set of (50) is as follows: VGEX or better condition (24 cards), VG condition (17 cards) and Fair to Good condition (9 cards). 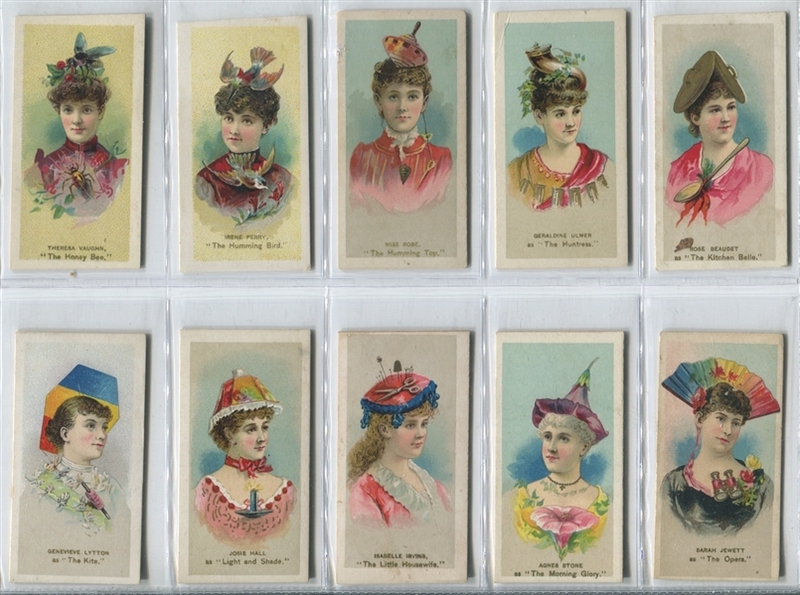 Nice average to slightly above average condition set of cards.